It’s a good time to be a Heat fan. As the season winds down for the NBA, South Florida looks to be in yet another playoff run for the seventh time in the last decade. 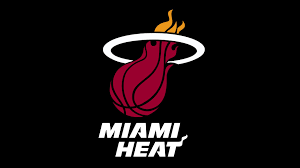 The Miami Heat who currently reside in the sixth seed in the East will take on the Philadelphia 76ers in the third seed. The 76ers are the ideal postseason opponent for the Miami Heat for the first round despite their strong 16 game win streak to end the season and here is why. First they are without their star center Joel Embiid which allows the Heat to utilize Hassan Whiteside unlike before. Though the Sixers are running on a 16 game win streak it needs to be broken down. This win streak of 16 games has been against 12 sub .500 teams meaning more losses than wins. Four out of the 4 playoff teams that they did beat, Embiid their all star was a part of the first two wins while the last one was game 82 that was used as a rest for the Bucks which only played their starters for at most 22 minutes which was their all star Giannis Antetokounmpo. On Wednesday, the Heat won in overtime verses the number one seed Toronto Raptors to finish the season with momentum. The playoffs start tomorrow night, Saturday, on ESPN. Great report, Peter! You know your stuff and you explain it well!